The four year old class is studying Europe. 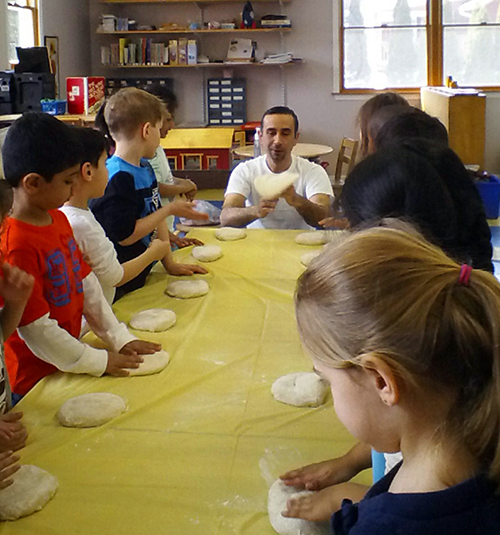 After learning about Italy, Mr. Caravello, who is from Sicily, came in and taught the class how to make pizza. They loved it!